No space? We'll build a deck over your pool! 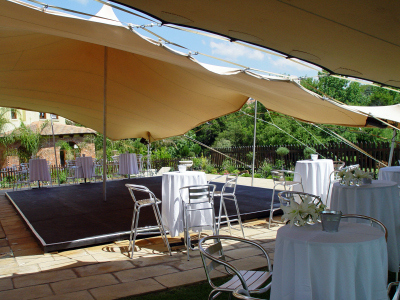 Venues, Marquees and Bedouin tents,staging,pool decking,décor,cocktail tables and chairs, couches and coffee tables,lighting,sound,DJs,entertainment,bands,projectors and screens, cameras and cameramen, recording and editing, mobile bars, shooter bars, champagne bars, coffee/tea bars, gelato and smoothie bars, barmen and waiters, hosts and co-ordinators,security and vehicle guards,catering,spit braais,cakes.